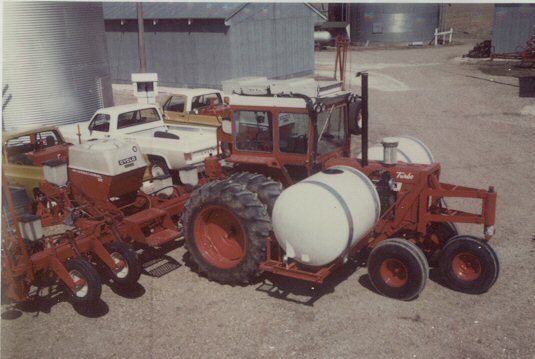 We had a really nice IH 1206 in the late '60's that we were overloading the front axle with these tanks carrying a total of 600 gallons of spray. 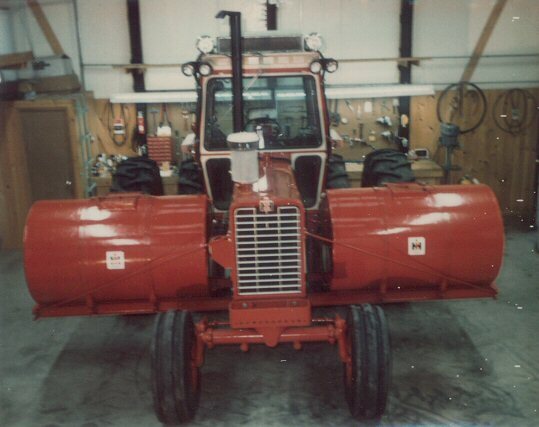 We added a third wheel to help carry the added load with new tanks carrying 800 gallons. 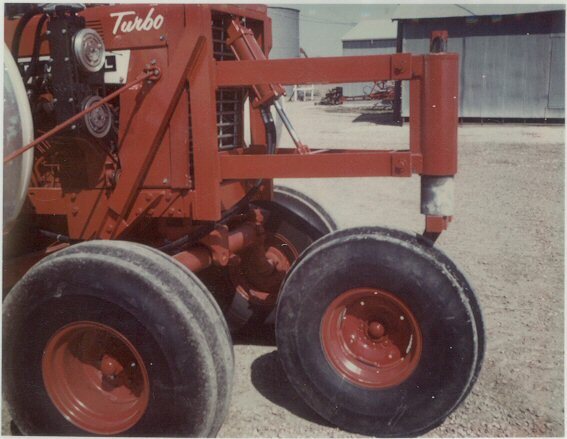 The wheel was able to carry almost 2,000 pounds of weight and prevented us fron having a broken front axle. A coil spring allowed for about 8 inches of vertical movement. 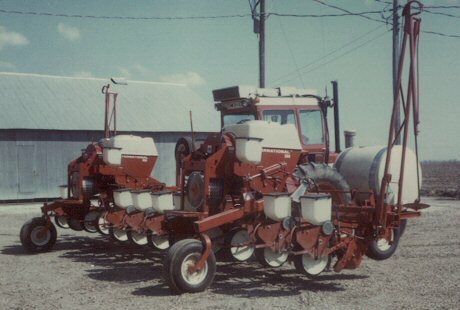 It worked well for several years until we updated the 12-row planter. Note that I had two roof mounted air conditioners complete with separate compressors. 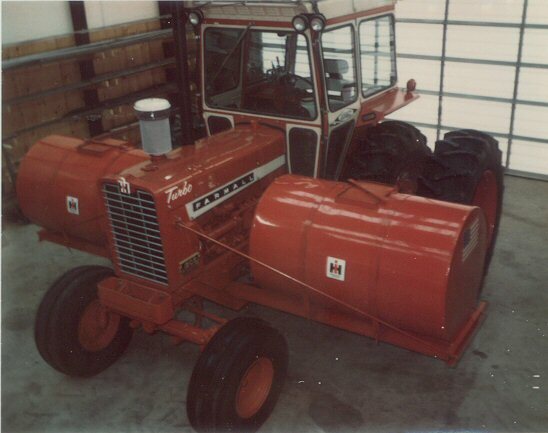 A/C reliability was not very good in those days!